Set in the beautiful, unspoilt North Yorkshire Moors countryside surrounding Osmotherley, Cote Ghyll offers owners a fantastic base to enjoy all that this area has to offer. 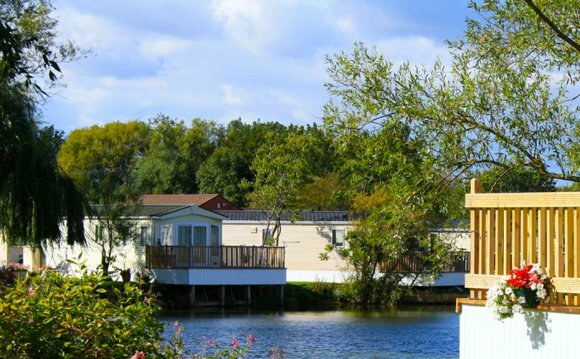 With a ten month season, ownership gives you the freedom to holiday at Cote Ghyll Caravan Park in North Yorkshire as frequently as you desire. The ideal location for a holiday home; Cote Ghyll is a 10 minute walk from Cod Beck Reservoir and Sheep Wash, and a short stroll from Osmotherley village centre. is £2200 plus electricity and gas. is £2450 plus electricity and gas. Our park is family run, ensuring you of a personal approach to buying and owning at Cote Ghyll. The process is easy, and more affordable than you might think. We’re always on hand to advise and guide you through each and every step of the process. If you would like to view our static caravans for sale, or require further information please give us a call on 25 or click on the Make Enquiry button to send us an email. Static caravans can be sited at Cote Ghyll for up to 20 years.